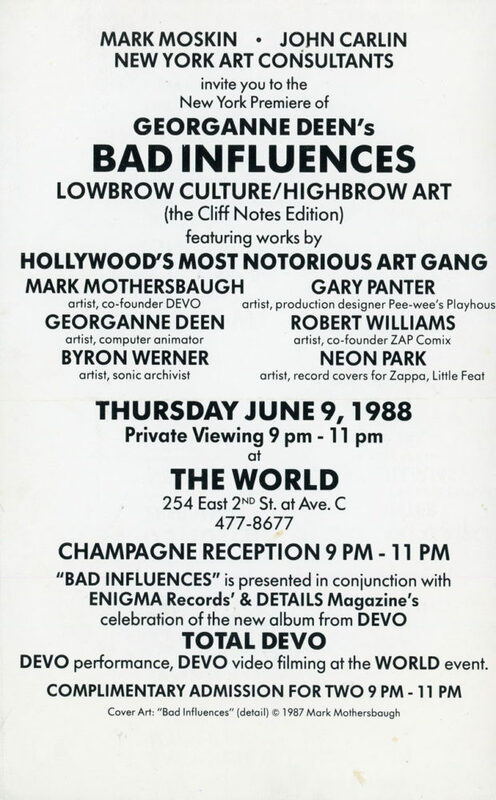 Card for Georganne Deen’s Bad Influences: Lowbrow Culture / Highbrow Art at The World, 1988. Featured work by Mark Mothersbaugh, Gary Panter, Georganne Deen, Robert Williams, Bryon Werner and Neon Park, and included a performance by DEVO. 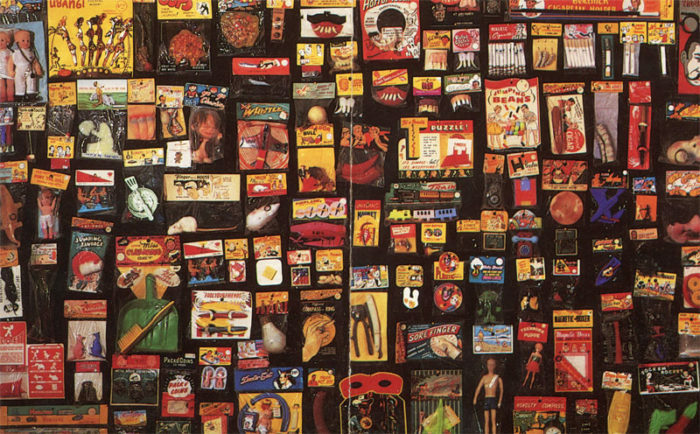 Front of card features Mothersbaugh’s Bad Influences, 1987.